Pressure cookers combine speed, versatility and simplicity of use. 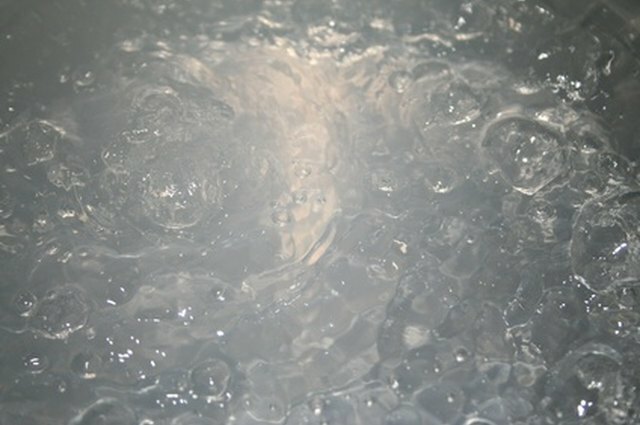 They accomplish this by creating an environment in which the boiling point of the water rises with the amount of pressure created by the water's steam. The lower atmospheric pressure allows water to boil at 257 degrees F at 15 psi, which greatly reduces the cooking time of steak. 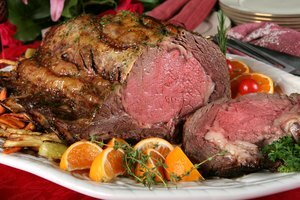 Large cuts of steak that require long cooking times, such as roasts, respond well to the moist-heat cooking conditions of a pressure cooker. Place the steak under cool running water to remove any purge released by the product while in its packaging. Steak releases a protein-based byproduct known as purge that creates an unwanted odor when exposed to air. Pat the steak dry with paper towels. Place the steak on a cutting board and season to taste with freshly ground black pepper and kosher salt. Add 1 tbsp. of olive oil to the sauté pan and heat until the oil shimmers. Place the steak in the pan and sear on both sides until it reaches a golden-brown color. Remove the steak and place in the pressure cooker. Deglaze the sauté pan with1/3 cup of red wine. Scrape any caramelized pieces that stick to the surface of the pan with the wooden spoon. Add the contents of the pan to the pressure cooker. Add 1 1/4 cup of cooking liquid to the pressure cooker. Never fill above the 3/4 capacity line on the interior of the pressure cooker. Secure the lid. Place the pressure cooker over high heat until it reaches high pressure; if using an electric pressure cooker set the temperature setting to high until it reaches high pressure. Reduce the heat to medium. Cook a steak weighing 8 to 12 oz. approximately five minutes for medium rare, seven minutes for medium and 10 to 12 minutes for well done. Add approximately 10 minutes of cooking time and 3/4 cup of cooking liquid for each additional pound of steak. Release the pressure and remove the lid per the manufacturer’s instructions. Cover the steak loosely with aluminum foil and set aside. 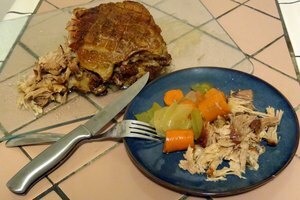 Rest a minimum of 10 minutes per pound of meat. Do not slice the meat until it finishes resting.